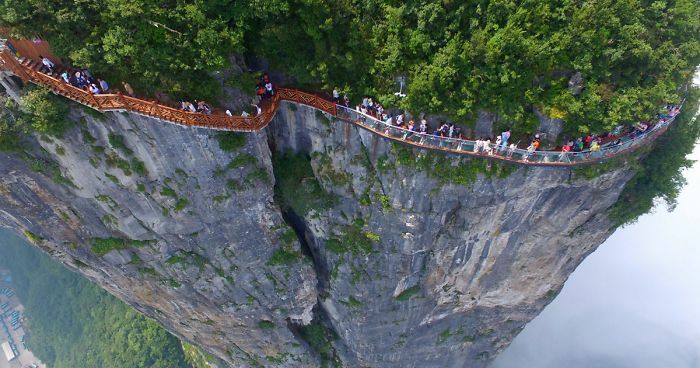 Situated on the side of Tianmen mountain in Zhangjiajie National Forest Park, Hunan Province, the walkway is 328ft (100 metres) long and 5.2ft (1.6 metres) wide. 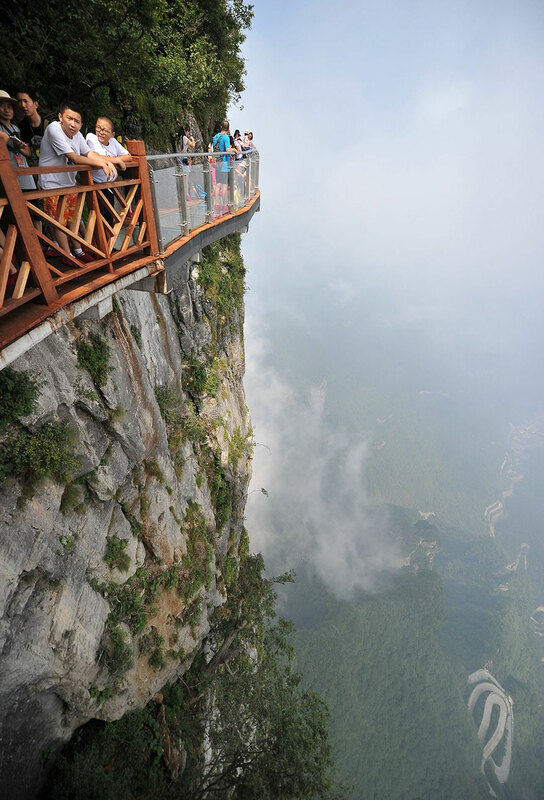 It’s known as the Coiling Dragon Cliff skywalk, and as you can see, it certainly isn’t for the faint-hearted, but anybody who finds the courage to brave the walkway will be rewarded with an utterly breathtaking view that few will ever experience. 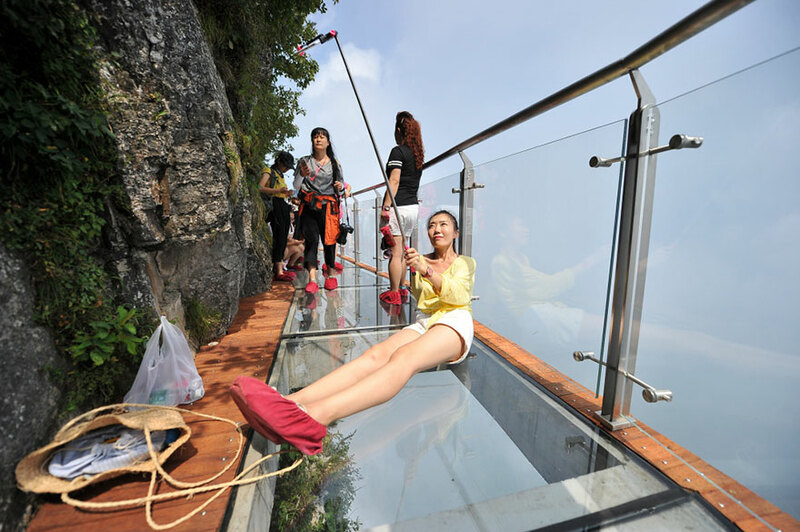 The park is actually home to three glass walkways including a 1,410ft (430 metre) glass bridge suspended 590ft (180 metres) above the ground, so if you’re looking for adventure, or just an extreme selfie, then you know where to go. I'm not afraid of heights..... I'm afraid of falling! 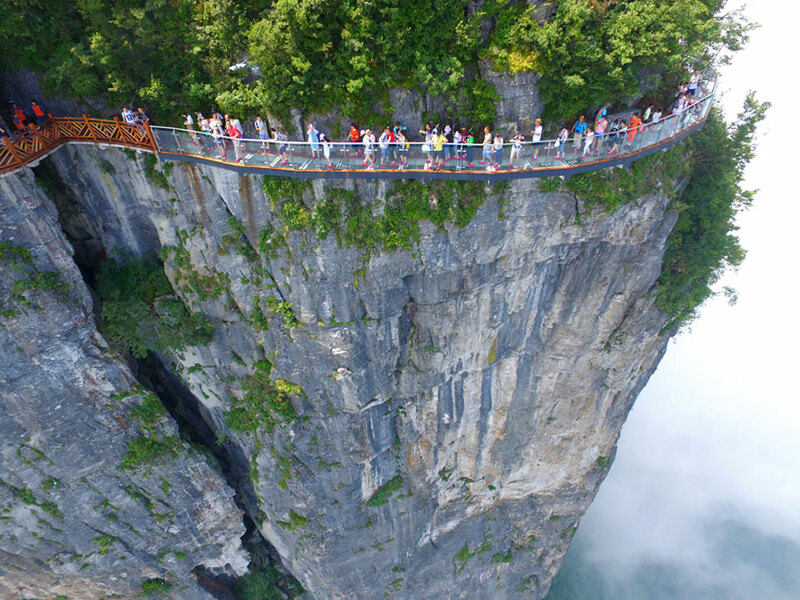 So much nope :P Wouldn't even care if the walkways and bridge could hold a bulldozer without breaking, I would never get on or cross them anyway :P Already have fear of heights and being able to look through the glass wouldn't really help. Not even if someone held a gun to your head. 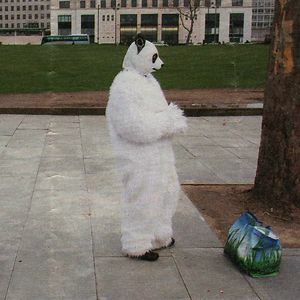 Or if the most scariest creature from your worst nightmare was chasing you? 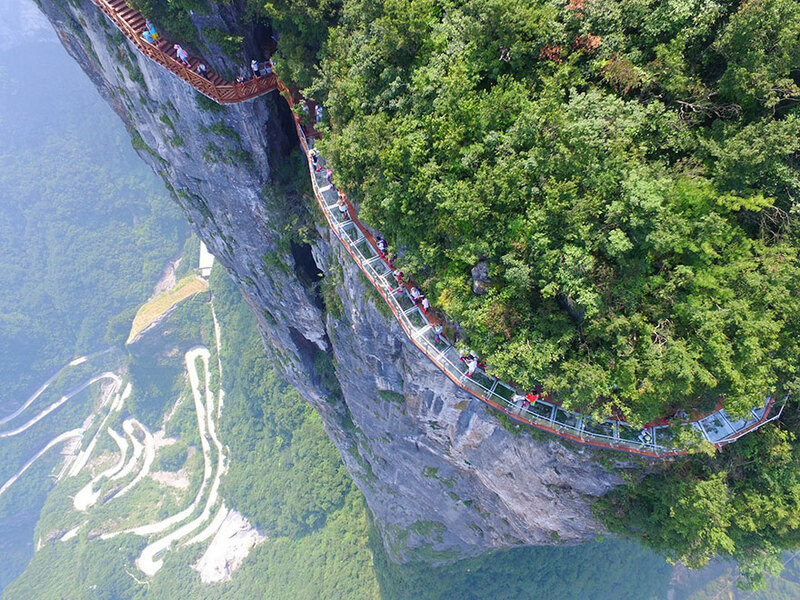 The way Chinese build things, no way, not to mention a piece of that rock looks like it's about to flake off. I see rust even so no thanks. I doubt this follows any building code either. And the railing are coated with lead paint LOL.